Just a few hours ago, the Hintsa team and over 50 session participants concluded the first of two Hintsa sessions at this year’s World Economic Forum Annual Meeting. In the spectacular ‘Base Camp’ venue situated on the Rhinerhorn mountain, Luke Bennett, Medical and Sports Performance Director of Hintsa Performance, and James Hewitt, Hintsa Performance Head of Science & Innovation, opened the session before Nico Rosberg, current Formula 1 World Champion, offered his perspective on how mental preparation in sports can be applied to the business world. Nico was joined by Mika Häkkinen, Two-Time Formula One World Champion and Allan McNish, three-time Le Mans winner and BBC’s F1 commentator in a panel discussion facilitated by Harvard Business School Professor Linda A. Hill. The session themes reflected many of the discussions that are taking place at the World Economic Forum Annual Meeting: how we can prepare our body and mind to live and work for longer than ever, the need to take more responsibility for our own health and wellbeing and find ways to focus our time and energy on what is most important in a world that is vying for our attention. 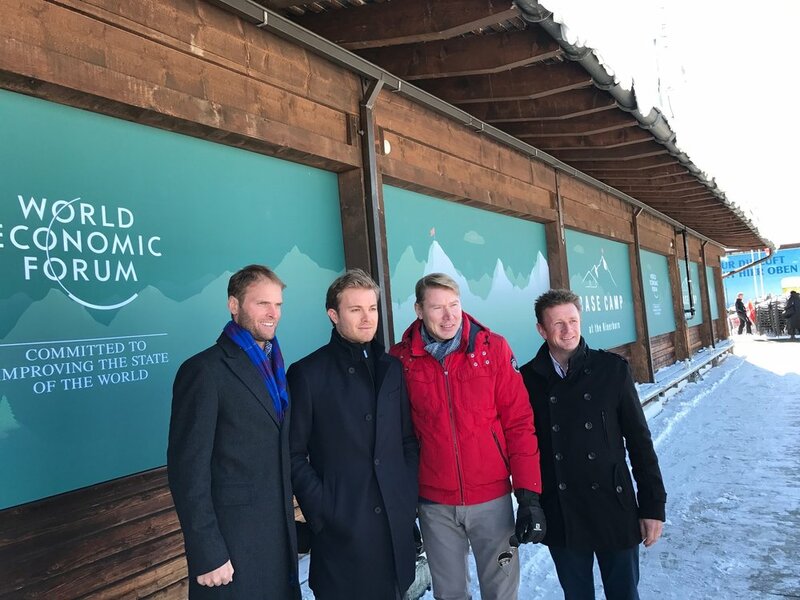 Dr Luke Bennett, the host of Hintsa’s WEF session together with three motorsport world champions. The panel discussion with our three motorsport world champions was followed by interactive workshops. Luke and James discussed the results of a 17-year longitudinal study, describing how grip strength may be ‘bio-marker’ of ageing, and gave the participants an opportunity to test themselves. Juha Äkräs, Hintsa’s Executive Chairman facilitated a discussion on ‘Core people’ – the people who matter most in our lives, and away of the hyper-stimulation of Davos city centre. 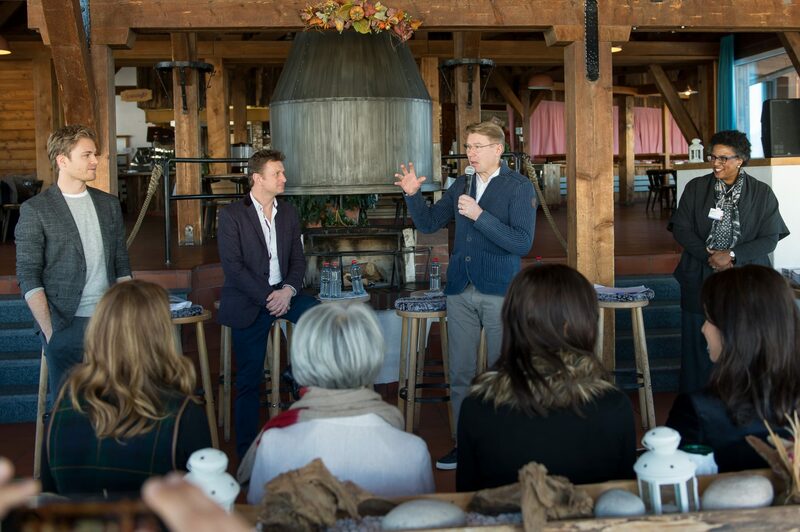 Pauliina Valpas, Hintsa’s Business Development Director, took participants through a ‘Default Mode’ exercise, to restore their attention and mental energy with the help of the beautiful mountain scenery surrounding the venue. The session also marked the official launch of our latest book ‘Exponential – Better Life, Better Performance: From Formula 1 to Fortune 500’, which explores many of the themes and questions raised in the session, in more detail.